A group of early investors try to offload their shares in the secondary market – putting the value of the site at $70bn. A GROUP OF early investors in the social networking site Facebook are to launch an attempt to sell off their shares – in a move that would see the website valued at an astonishing $70bn. But Reuters – which said five sources had vouched for the deal – said that far from being a sign of Facebook’s continued growing appeal, the deal embodied the fears of current current shareholders that the company will struggle to maintain the astronomical value it currently boasts. A previous bid to offload the same holding in the company – at a higher price that valued the company at $90bn – ended unsuccessfully when the group failed to find a buyer willing to meet their valuation. “At the current valuation, where it is, it is really hard to justify the investment,” one analyst told Reuters, arguing that at the current rate of growth Facebook would be expected to be worth $270bn in the coming years. Reuters added that the sale of the stock – which includes shares given to employees of the company as part of their stock options packages – required the consent of senior figures at the company including co-founder and CEO Mark Zuckerberg. The sale, if it could be completed, is thought to represent the largest transactions of Facebook shares to date. The company is known for its ambition to become the world’s first trillion-dollar company – so the apparently falling value of its shares represents a blow to this ambition. 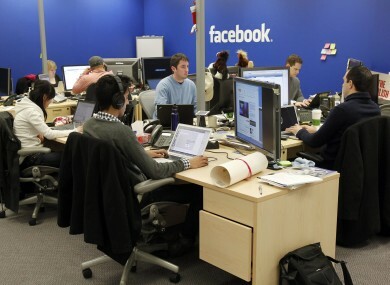 Facebook is expected to record profits of around $2bn this year. Email “Facebook investors set to offload $1bn in site's shares”. Feedback on “Facebook investors set to offload $1bn in site's shares”.